The 3rd / 4th Grade Choir is open to all interested 3rd and 4th grade students without audition. The goal is to introduce students to singing in a choir, rehearsal discipline and performing successfully. Repertoire includes German and American music. The weekly rehearsals take place after school, for 3rd grade on Wednesdays, 14.15-15.00h (starting September 9), and for 4th grade on Thursdays, 14.15-15.00h (starting September 10). 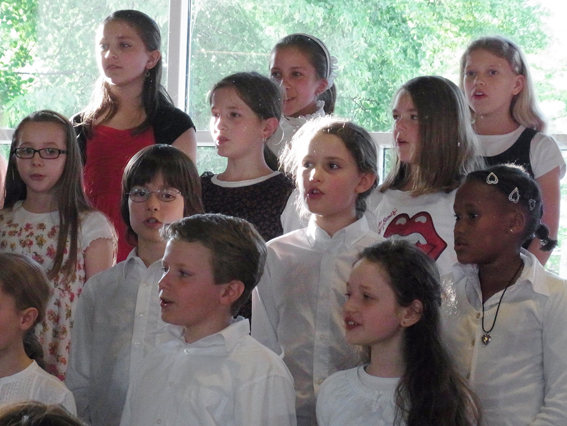 The Choir participates in two Elementary School Music Evenings each school year.